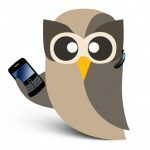 Our international Owls continue flying around the world to meet HootSuite fans in every corner of the planet. This time, they have spread their wings and have flown to the East to proudly announce the release of mobile apps translated to Russian, Indonesian and Turkish. After celebrating two successful HootUps in Jakarta and Bandung, our friends in Indonesia continue to receive good news from HootSuite Headquarters. 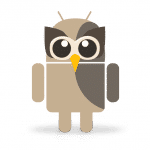 With the release of the Indonesian translation for all the HootSuite supported mobile devices, the owls of the huge archipelago will be able to enjoy HootSuite in Bahasa Indonesia on their iPhone, iPad, Android or BlackBerry devices. Our owl Stephanie Wiriahardja has been working diligently as the Indonesian language coordinator for this project. This translation was also made possible by the invaluable collaborations from @irfanmk, @vincent_smoox and @mrlette. What’s the next step for our Indonesian fans? The dashboard! 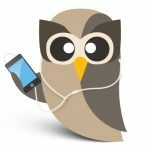 Our Russian speaking comrades will also enjoy HootSuite in their language when using Android, iPhone and iPad thanks to the collaboration of Mike Abasov and Vitaly Merkulov, coordinators of the Russian mobile apps translations. Additional translation support and suggestions came from @andlev, @margerko and @shu. After announcing the status of some of the languages in the Translation Project, we have been contacted by some Russian friends who would like to collaborate and contribute more to the Project, so we hope to see the release of the BlackBerry app and the web dashboard in Russian soon. The HootSuite iPhone/iPad app is also now available in Turkish! The engineering student Onur Güven contributed as the Turkish language coordinator. In addition, @cngiz, @luceropinata and @brszdg helped out with language suggestions and translations. What’s the next step for the Turkish translations? The BlackBerry and Android apps are around 33% complete. We’re sure that Onur, in collaboration with the other Turkish translators, will be able to help finish the apps shortly to have all the translated mobile apps available for the Turkish-speaking community. Remember you can also contribute to the translations for your language. Simply access the Translation Project page, register and then select your language to get started. Contact us directly if you would like to contribute as a coordinator in your language or if you need support or have questions. Don’t see your language being translated? Submit a request to the Feedback Channel.